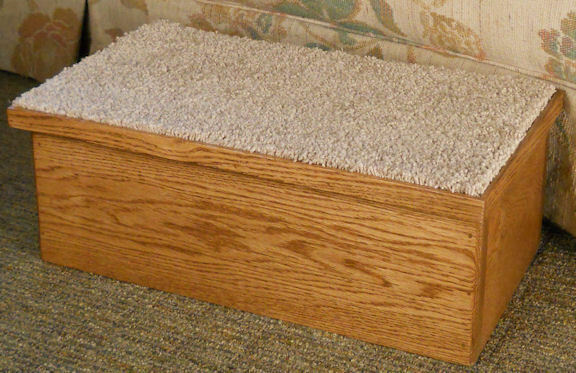 Our Hardwood and Carpeted Steps are truly a step above the rest. The sides are made of solid oak or maple hardwood, not a thin veneer. The carpet on the steps is recessed onto the wood edges for a clean look. Both Standard and Big Step double step models. The carpet on the steps is recessed onto the wood edges for a clean look. 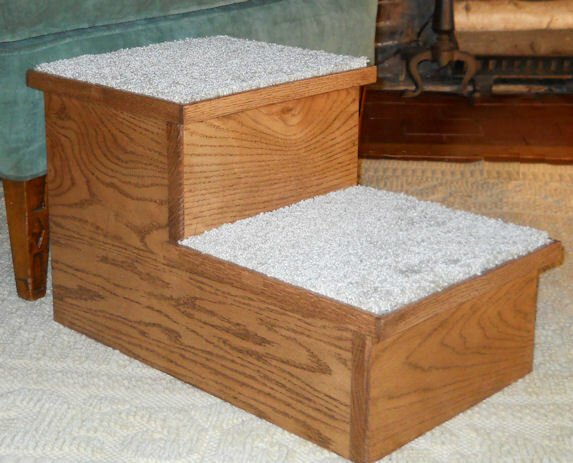 Standard steps are 6" high which has been proven to be the best for most pets. The standard width is 18" and each step 10 1/2" deep. 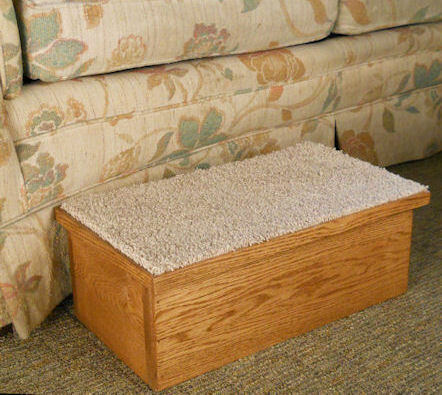 In addition we have Extra Deep Steps for pets who take one step at a time. The Big Step models have 8" high steps for the big dog. All models come complete with no assembly required. Take out of the box and use right away. Standard Steps: 18" wide. 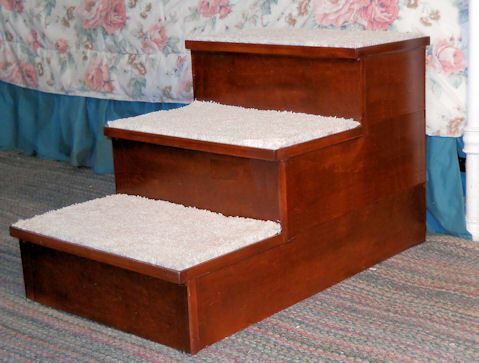 Depth and height of each step works well for most pets. 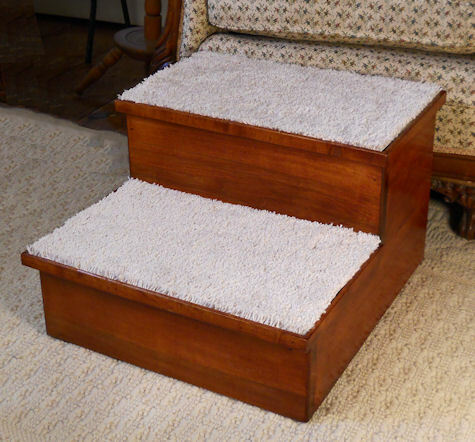 1 Step - 6" high x 10 3/4"
Narrow Steps: For smallest pets or tight spaces. 6" high steps. 12" wide. 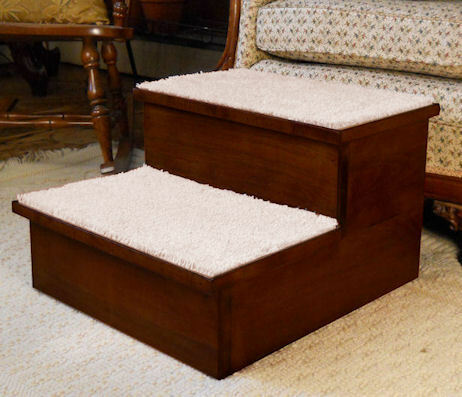 Extra Deep Steps: For smaller dogs or cats that need to take one step at a time. 6" high steps. 18" wide. 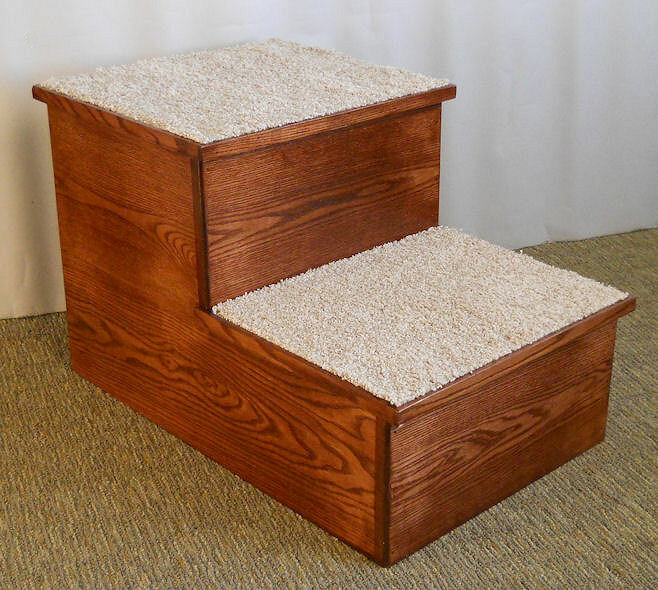 1 Step - 6" high x 16 1/4"
Big Step: Both taller and deeper steps than our standard steps. 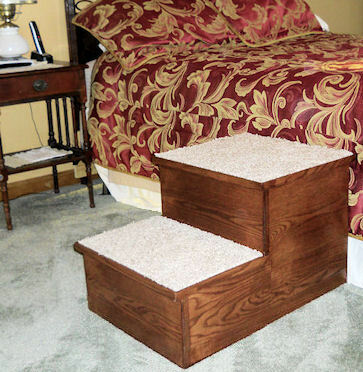 Not only for larger dogs but also for pets that can jump up taller steps. 8" high steps. 18" wide. 1 Step - 8" high x 13 3/4"